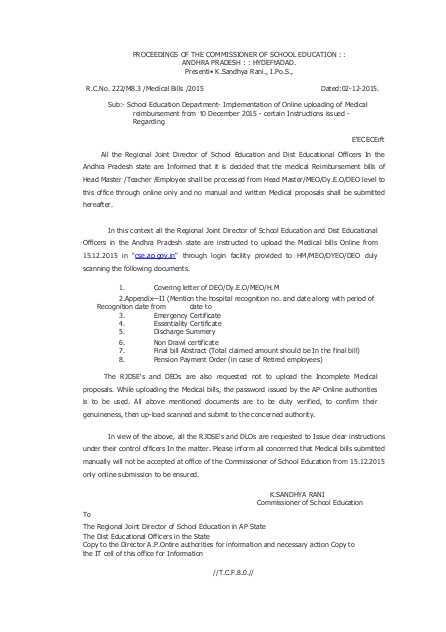 PROCEEDINGS OF THE COMMISSIONER OF SCHOOL EDUCATION : : ANDHRA PRADESH : : HYDEFtADAD. R.C.No. 222/M8.3 /Medical Bills /2015 Dated:02-12-2015.